The advantages of medical tourism are many. Travelling to India allows the medical tourist to access high quality medical care at much lower prices than in US / Europe. It also avoids long waiting times for surgery and other treatments and potentially allows patients to obtain procedures not available in the US / Europe. Medical tourists find that the cost of their treatment (including the return airfare, holiday and accommodation) leaves them with a total bill substantially less than they would have spent just on having the procedure in the UK. India is an obvious choice for safe and cost-effective medical treatment and despite any prejudices about healthcare in developing countries India's private hospitals have earned their reputation as world-class institutions with state-of-the-art technology and highly skilled medical personnel. Indian doctors are considered to be among the best in the world and their high level of surgical expertise evolves from many years of training. 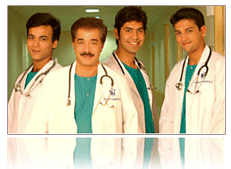 Many doctors train and work in the US, Europe or the UK after completing their studies in India. India has a number of corporate hospitals, many of which are gaining ISO9001 standardisation status (the voluntary standardisation run by a non governmental body where hospitals must pass rigorous tests to be certified). The Indian government has also established minimum quality standards to reassure patients seeking treatment abroad and the Joint Commission International USA is the Gold Standard accreditation for US and European hospitals which represents the highest levels of patient care and patient safety. With attractively low prices in comparison with the West and some of the most cost-effective healthcare facilities in the world India's healthcare industry is booming as patients choose the East to undergo heart surgery, knee transplant surgery, cosmetic surgery and dentistry and reap great savings in the process. Medical tourism 'packages' often include transfers, accommodation, sight-seeing and/or a relaxing post-operative trip with the added benefits of India's legacy of health-inducing therapies like Ayurveda, yoga or meditation thrown in. We Care India ensures that your entire experience of availing treatment in India from query stage to post treatment follow up is completely smooth and seamless, thus making your journey to better health in India a lot easier.